Could someone help me find or create something that will make notepad++ colour code nested brackets? Not exactly what you’re looking for, but maybe what is suggested here could meet your need? Note: You didn’t state the reason for your desire, you simply stated your desire. If you provide your reasoning, you give the responders here more to work with (when providing similar alternatives that might work for you). 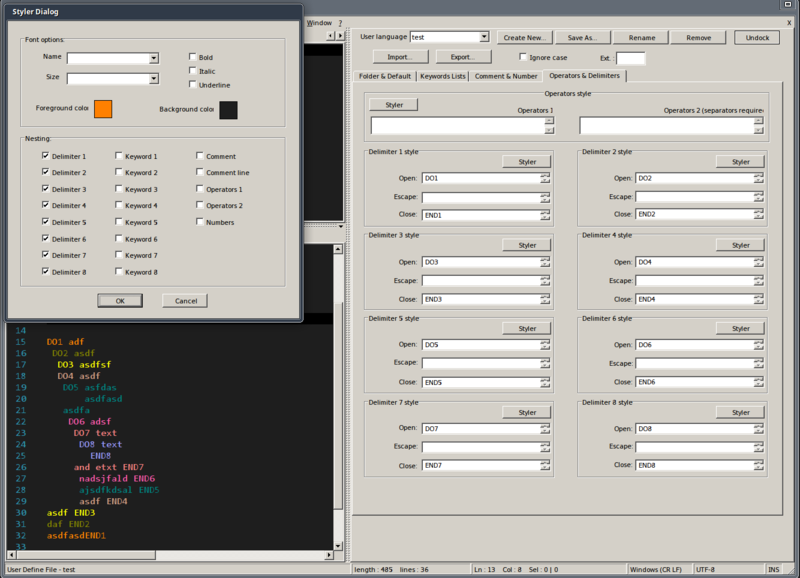 I’m working on a couple of macro programs for a cnc, and the logic can get a little tough to follow at a glance. Having colour coding would simplify things a lot for me, especially when it gets heavier than this (up to 27 levels of nesting). in this case coding the loops so that each level of nesting has its own colour would be helpful. not sure if this helpful but up to 8 levels can be done with UDL (Language->define your language). and of course use different color.